It appears from this message that Jack Purcell and Eric Hill had both been identified and more or less confirmed dead at around the same time. But apart from the mention of his name on this and other similar telegrams, the Pates were told very little else about Sgt Hill. His record at the Commonwealth War Graves tells us that his parents were Frederick and Fannie Rebecca Hill, and that they came from North Weald in Essex. A simple handwritten note in Gil Thew’s archive (A01-373-001) gave an address for Fred Hill, at 18 Bassett Gardens, North Weald. In September 1944 his address was Station House, Goring, Reading, Berkshire (A01-074-001). When I visited the British Library in July 2010 I was hoping to use this information to search for an electoral record and perhaps find names of further members of the family living at the same address. Sadly this was one of the records that the Library was in the process of moving to another location when I visited, so a new angle was required. Enter Dave Franks with his Ancestry.com membership. 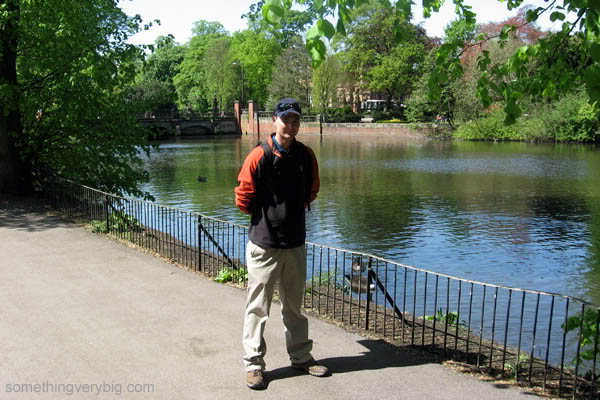 Dave is a family friend who lives in Nottingham and who is working on his own family history. I stayed with him and his family briefly on my last trip and we were able to spend a great night bouncing ideas off each other and searching through ancestry.com. We found a family tree which included Eric Hill, submitted by a man named Harry White. 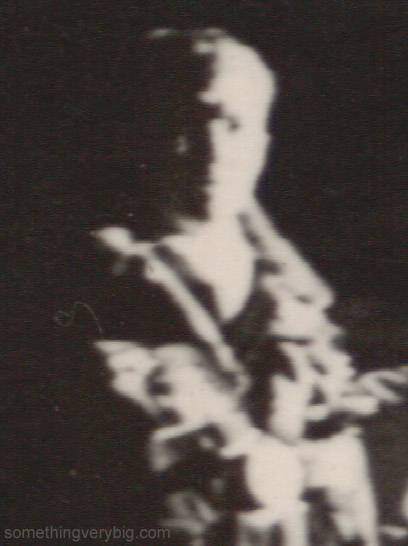 While only very distantly related to Eric, Harry when we contacted him was able to throw some light on the man and his family. None of the names from Harry White match those initials. This raises the possibility of either another daughter or, perhaps, I’ve misread a document somewhere. At the time of writing this was all I had in the search for Eric Hill’s family. Possible avenues for further research from here could involve tracing any further children belonging to Eric’s siblings, chasing up the C J Duncan lead or even searching for a possible archive or other records belonging to the GWR. I’m now in the middle of moving and so internet access may be a little intermittant for the next little while. Please bear with me, and hopefully normal service can resume shortly! And now for something completely different. 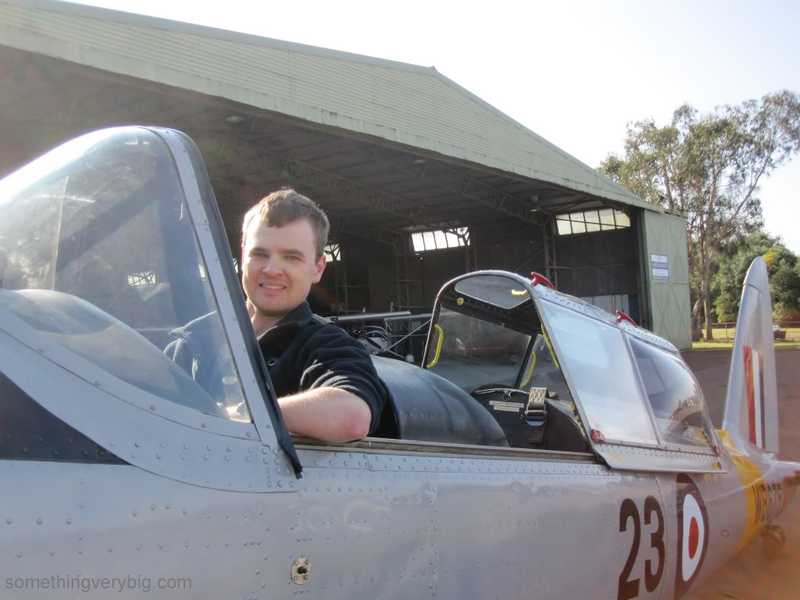 A few weeks ago I had the pleasure of going for a flight in a de Havilland DHC-1 Chipmunk. I know it isn’t quite connected with the overall topic of this blog, but I had a great time and felt I had to share it… Normal service will resume shortly! From the outside, it’s a very pretty-looking aeroplane. A narrow nose, with a single metal propeller. A single sliding canopy covering two seats. Beautifully shaped wings and the unmistakably de Havilland tail. It’s not a very big aeroplane, and it’s not particularly powerful, but it shaped a generation of British pilots in much the same way as its immediate predecessor, the famed Tiger Moth. But inside the cockpit, underneath that narrow framed canopy, ‘pretty’ is not the word to describe the DHC-1 Chipmunk. The design dates back to the immediate post-war period in British aviation, and it shows. The concept of ergonomics simply hadn’t been invented yet and many of the controls are tucked into slightly bewildering places around the cockpit. The master switch is positioned on the sidewall, down near your left shin. Sticking out of the floor nearby is the brake lever – pull to activate, then push the appropriate rudder for something approximating differential braking. The mixture control is pulled aft to select fully rich – the exact opposite of more or less every other aeroplane ever built. The throttle lever has a little ball on top (helpfully marked with a “T” in the Tiger Moth fashion) and is mounted with the mixture lever on the left side of the cockpit. The flap lever, with a ratchet to keep it in place, is reached for with a nearly fully-extended right arm and pulled up like a really big handbrake. The designers did away with the need for a complicated mechanism to adjust seat height by simply bolting the seat firmly to the floor. If it’s too low for you, get some cushions. If it’s too high, bad luck! Priming the engine on VH-AKB, the Chipmunk that I flew recently, is accomplished by the highly technical means of pouring a small amount of fuel into the carburettor intake (the original priming mechanism having long ago given up the ghost). Once settled into the cockpit, the start procedure feels like it needs four arms. You cradle the stick in the crook of your right elbow, while keeping pressure on the brake lever with your right hand. Your left hand cracks the throttle open, then moves across to the starter button which is positioned about as far away from the throttle as it physically can be, high up on the top right-hand corner of the instrument panel. Once the engine fires, that left hand needs to be quick to move to the throttle to ‘juggle’ it and catch the engine before it dies – otherwise you need to unstrap, climb out to reprime the engine, and try again. Taxiing in this aeroplane is an exercise in coordination. Juggling the throttle and the brake lever with your left hand while holding the stick back with your right (as is essential in any taildragger), weaving down the taxiway to see past the nose and trying not to hit anything is quite difficult. Slow and steady is the answer. Hopefully you’ll manage not to bend the aeroplane before taking off. But get the aeroplane in the air and all the niggles involved in its ground handling simply disappear. The controls are beautifully light – ailerons especially so. A standard turn requires very little control movement. Even an aileron roll can be flown with much less stick than I was expecting. Aerobatics are graceful in a Chipmunk. Sure, there are many more capable aerobatic aeroplanes out there. But not many have the combination of finely balanced ailerons, responsive elevators and sheer old-world charm that this one does. She loops, rolls, stalls, wings over and generally has a whale of a time. And that all-over canopy gives a beautiful view of the ground when you’re upside down. Back to the airport, then, to see if modern-day spamcan pilots like me can land a Chipmunk. Like the Tiger Moth, this machine likes the ‘wheeler’ style of landing, with a trickle of power on, because the oleos soak up any excess sink rate on touchdown. The actual touchdown is relatively easy to judge. But the problems start once the aeroplane slows up and the tailwheel came down. The rudder is extremely light and it’s very easy to overcontrol, leading to some not particularly dignified swerving down the runway if you’re not careful. The second attempt – once you tell your feet to wake up on the rudder bars – is usually much neater. But slow down to taxi speed and once again you need to juggle that awkward but very British brake system to get back to the hangar. It’s almost like the aeroplane doesn’t want to stay on the ground, like it’s trying to convince you that up in the air is where it belongs. Apparently that’s normal. 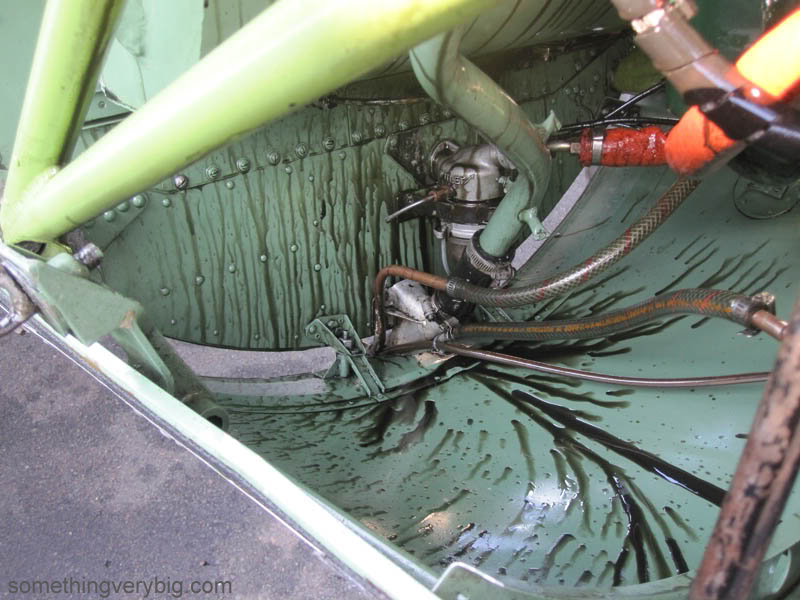 Like all good vintage aero engines, if it stops dripping oil, it simply means it’s run out. Despite her awkwardness on the ground, there’s no doubt that these aeroplanes have a certain ‘class’ that modern-day aircraft just don’t have. 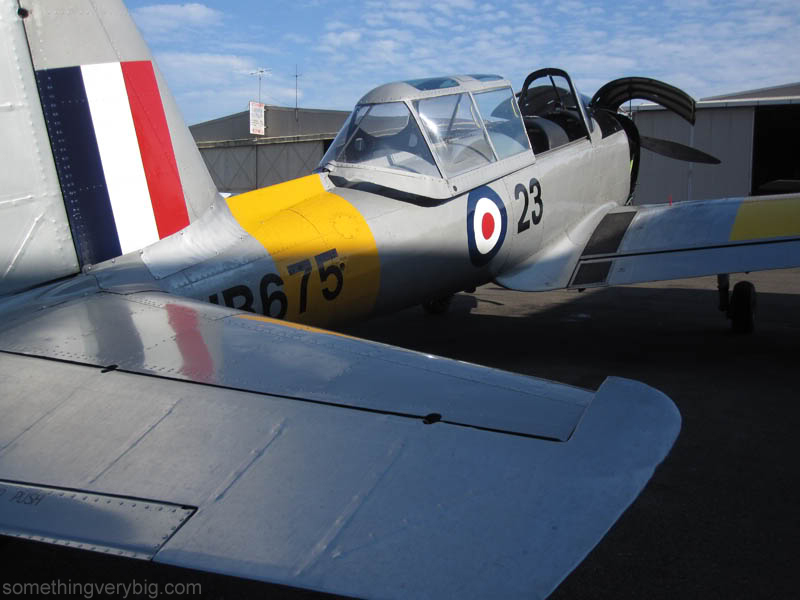 The heritage of the Chipmunk, stretching back to the Tiger Moth days, is certainly evident. Many pilots learnt to fly on aeroplanes just like this one in the 1950s and 1960s, and it’s great to try and capture some of that era of flying if you ever get the chance. Some more progress for you. We probably need to start thinking about the guy working on the engine, the bike, etc. I’m still looking to include one or two distant Lancs dispersed around the airfield. Lots still to do, especially in the foreground. 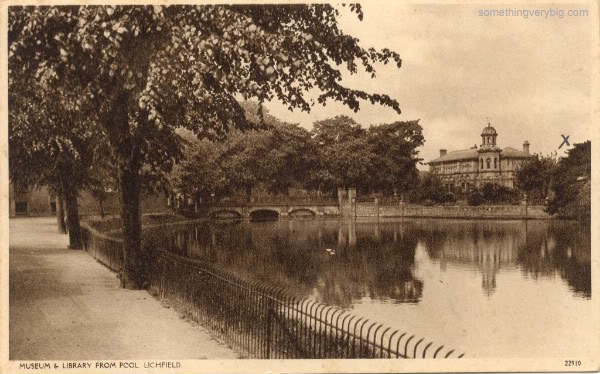 Jack was stationed at the nearby RAF Lichfield between 22 June and 9 September, 1943. The airfield – actually closer to the village of Fradley than to Lichfield itself – was the site of No 27 Operational Training Unit during the war. The OTU stage of an airman’s training was where, in general, he first ‘crewed up’. The concept of the ‘crew’ is central to the Bomber Command legend – even transcending class boundaries in the RAF. Crews would, by the time they got onto a squadron, live together, play together, fight together and, all too often, die together. While officers and NCOs might have lived and messed separately, most crews socialised together when off-duty. In many cases airmen began strong friendships that would last them the rest of their lives. Consequently in many cases crews would not therefore come to regard their time on an OTU with any particular affection like they would their time on an operational squadron. The OTUs, it could be said, were the forgotten part of Bomber Command. While Lichfield will never be as famous as Waddington or Binbrook, it is clear that airmen like Charlwood understood its significance to the war effort and to the development of the crews of Bomber Command. It is also significant on a personal level for Jack Purcell, simply because of the existence of those two postcards. Unlike the superb archive of letters and documents that I have been lucky enough to study from Mollie Smith and Gil Thew, we have very little bar a few photographs from Jack. I know he wrote letters while he was in the Air Force but what happened to them is unknown. These two postcards – though unwritten – are therefore particularly special. And the cross? Standing in front of the Library, looking up the street, I spotted two buildings. One is the Probate Court. 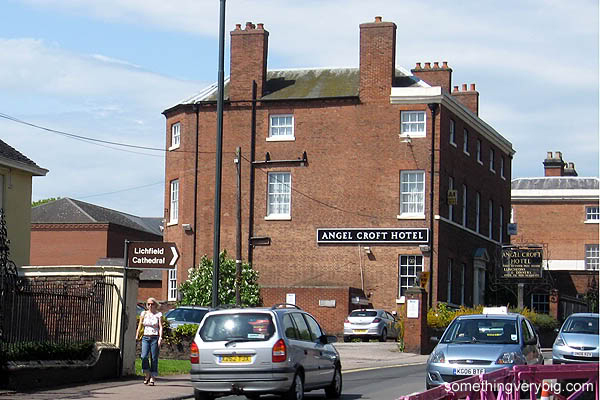 The other is the Angel Croft Hotel. For some reason, I reckon Jack was marking the pub. Hat tip to Chris Pointon for the idea that inspired this post.